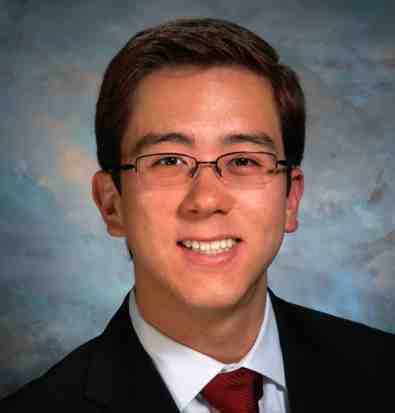 Donald J. Trump lost the Asian American and the youth vote, but one prominent young JA cast his vote for the newly inaugurated president: Jeremy Yamaguchi, the Placentia city councilmember and former mayor who at 22 became the youngest mayor in city history. Yamaguchi, now 28, said it was Trump’s business background and willingness to commit political iconoclasm to bring about change that won him over, along with voters across the country. Growing up, Yamaguchi’s family owned an industrial insulation business, and the afternoons he spent there after school afforded him a look into how government policies affect small businesses. Yamaguchi identifies as a fiscal conservative, but calls himself a “millennial conservative” when it comes to social issues. For example, millennial conservatives have friends who are gay, he said, something older generations of conservatives still consider taboo. “To go out and ask a Republican millennial to go against their friend in order to hold the party line, I think is silly,” he said. “There’s nothing wrong with that — it’s just Democrats do a lot better job of it,” he added. Exit polls show that only 29 percent of Asian Americans voted for Trump, compared to 65 percent for Democratic nominee Hillary Clinton. Many JAs were quick to condemn the president-elect when he equivocated over the incarceration of JAs during World War II in a 2015 interview with Time, and again this past November when a prominent Trump supporter said that the camps offered legal precedent for a registry of Muslim citizens. “We must not use the wrongdoing perpetrated against Japanese Americans during World War II as a justification for the mistreatment of Muslim Americans,” the Japanese American Citizens League wrote in a statement. Yamaguchi said concerns about Trump’s promises to implement discriminatory practices of the same ilk as the wartime camps are overblown, and that the president-elect lacks the authority to roll out those practices, even if he wanted to. “And with the media and the transparency of the Internet, it’s a lot harder to do stuff like that without public scrutiny,” he added. Yamaguchi was encouraged by Trump’s picks for his Cabinet, many of whom have backgrounds in business, but said he’s “kind of torn” about their lack of political experience. “He’s definitely brought in some new faces to politics, which is good and bad,” he said. “I welcome the change from the party bosses and the establishment. But he also said Trump’s brash style and disregard for the rules of the game could bring about more immediate change. He pointed to Trump’s showdown with Boeing over the cost of Air Force One as evidence that he plans to follow through on promises to cut wasteful spending and run the country more like a business. In December, Trump tweeted that the plane’s “costs are out of control, more than $4 billion.” “Cancel order!” he added.